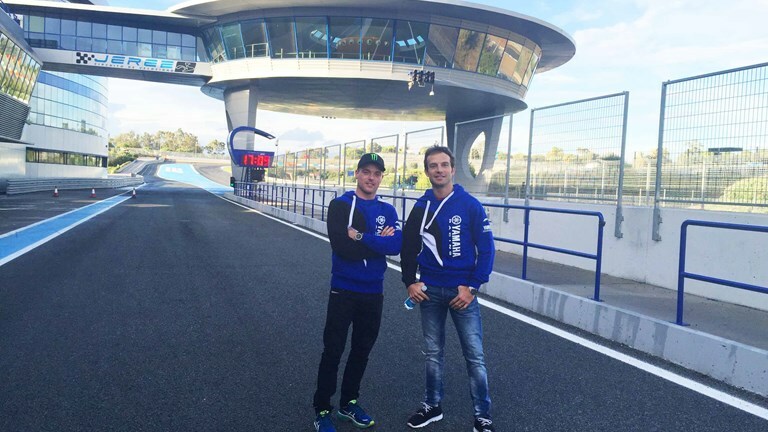 Yamaha Motor Europe’s new pairing of Alex Lowes and Sylvain Guintoli will make their debut aboard the 2016 Yamaha YZF-R1 at the Circuito de Jerez in southern Spain tomorrow in the opening test of the Japanese marque’s return to the World Superbike Championship. The ‘stealth-black’ Yamaha race machines will feature Pata branding for the first time, with the squads additional partners and final ‘Racing Blue’ livery to be revealed in January. Located on the south-west coast of Spain, approximately 90kms south of Seville, the initial test at the 4,423m Andalusian circuit will focus on the basics – getting both racers comfortable with the new YZF-R1, making initial rider position adjustments and achieving a base setting for the machine in its first appearance under the WSBK regulations. However, the forecast of heavy rain and storms may disrupt plans for the opening day. Lowes and Guintoli will be on track at Jerez for a two-day test, commencing at 10:00hrs local time on Tuesday 3rd November before the newly-formed team travel to Aragon and then back to Jerez later this month for further evaluation. With Yamaha coming back and Hayden moving to WSBK, I think I’ll need to add another video pass to my library.